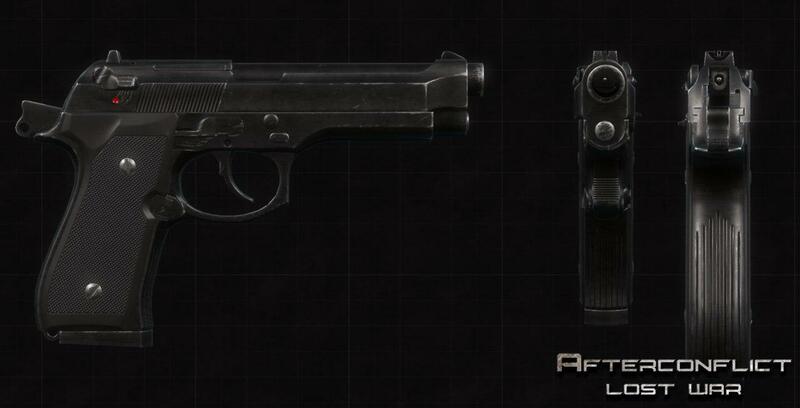 The M9 semi-automatic pistol is used by the United States military as a service pistol. It holds a 15 round magazine and is chambered in 9x19mm. The effective range of the pistol on average is 50 meters. Demidovka is a relatively low population town situated in Russia near Ukraine, which has a train station and a bus station to travel between nearby areas, and has been built next to a snaking river. 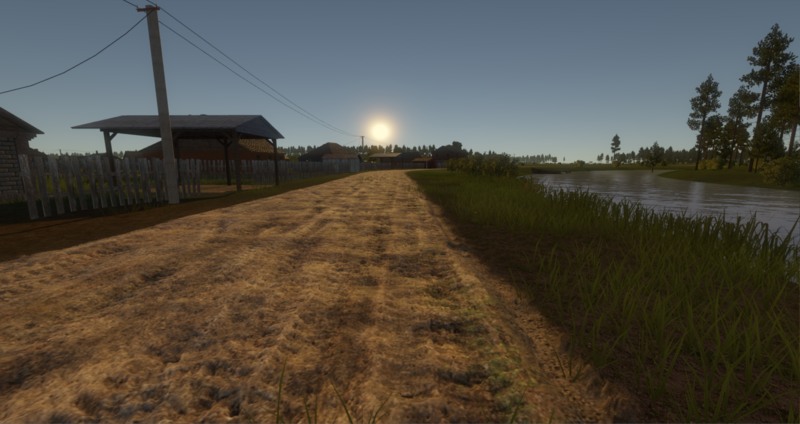 The map measures 5 square kilometers, which allows for more gameplay decisions. We chose to specifically make this map in order to test several new features we've been working on. This includes the river to test water, the railway to test procedurally generated meshes based on splines, and a larger map size to test balance and performance. Water shaders were especially important to work on as a feature for the engine. 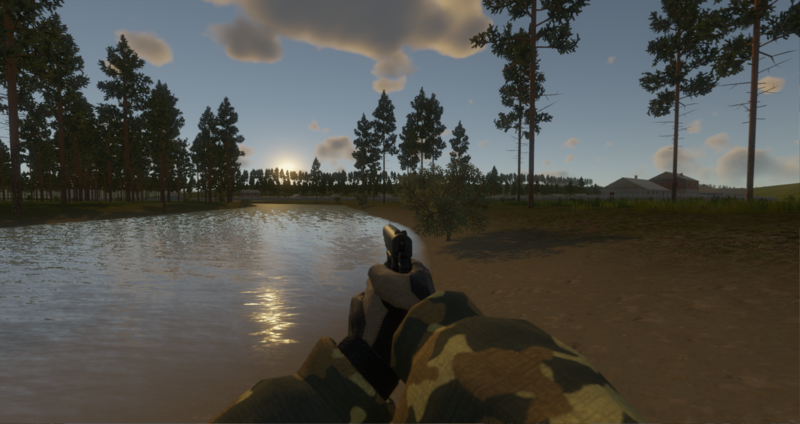 A flowing river or lake can be important in order to provide gameplay barriers and challenges, and to provide aesthetics to the map. We're still working on improving the shaders and the current progress is far from final. 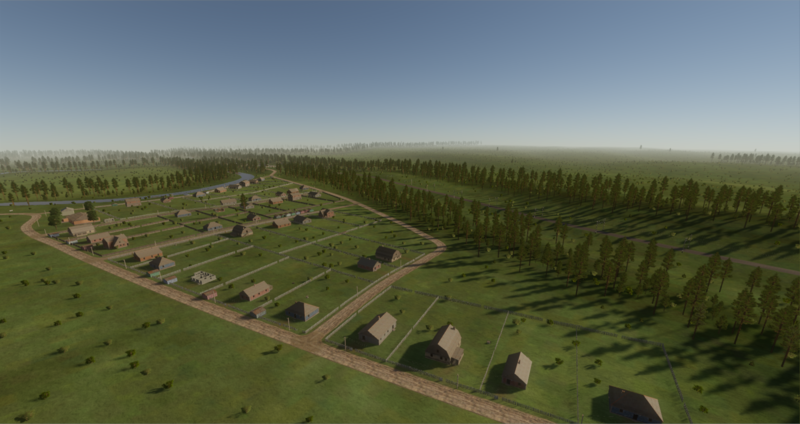 Demidovka with its winding dirt roads has been made as a larger scale map than our previous ones in order to help us test performance with more objects, as well as game balancing on a far larger scale. You can visit us at Afterconflict.com to see any updates you may have missed. The website also links to the other sites we share media of our game on. We're back with another development update. 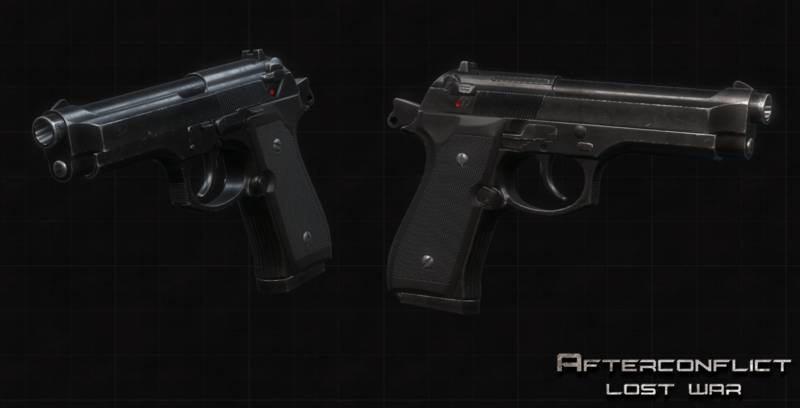 We've added a new handgun and grenade animations. 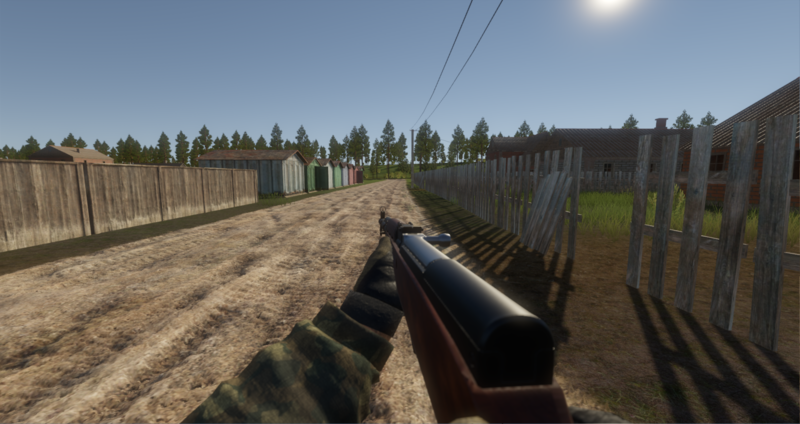 For some reason the screenshots remind me a lot of DayZ, but considering how much work you're putting into this and how long DayZ has been out I wouldn't be surpirsed if this was released before the DayZ shitshow came out. Good luck with the project. Edit: Also just so I'm clear I mean the game visually looks fantastic and is something I'd very much look forward to playing. Loving the feel of this game. It looks nice I'll be tracking it. your game is on Steam or Steam greenlight? Currently neither, we'll put it on greenlight when we consider the quality of the game acceptable for a bigger community.